This is a set of four photo coasters with a walnut wood stand. Each photo coaster is 4" x 4" square and has a cork bottom. 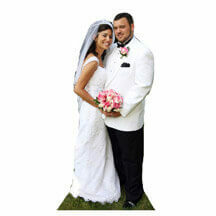 The print is waterproof, alcohol proof, scratch resistant and can be cleaned with any cleaner or soap and water. 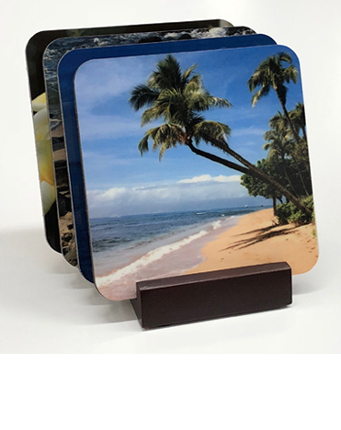 We've put photos of kids, pets, scenery, boats, cars, company logos, you name it, on these coasters. Makes a great gift too. Turnaround time is about one day. 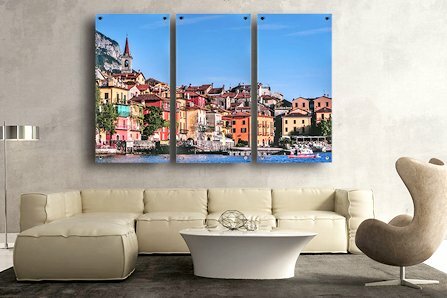 You can order the set of four with four different images, or all the same image.